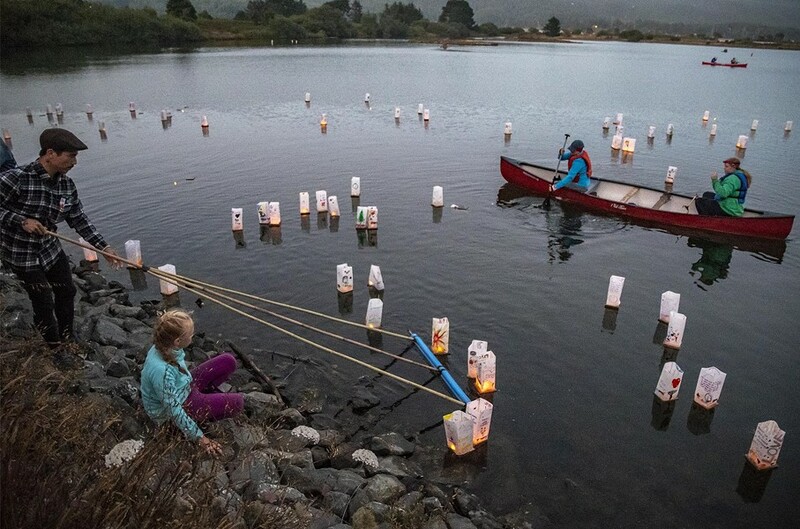 Volunteer Tony Wallin, of Arcata, helped move the lighted lanterns away from the shore into the gentle breeze blowing across Klopp Lake. 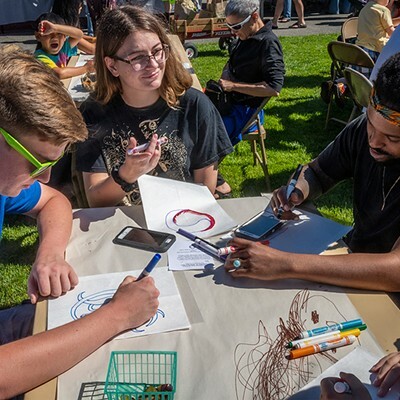 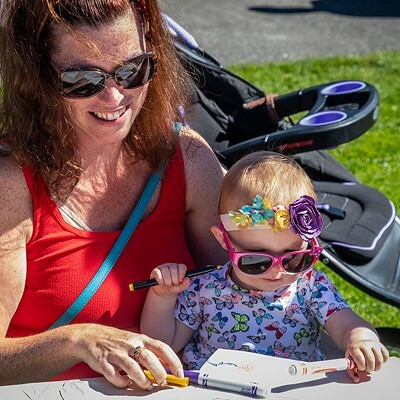 The Saturday morning lantern-making workshop on the Arcata Plaza was busy with people of all ages making lanterns with personalized remembrances or social commentary for that evening’s 36th annual Lantern Floating Ceremony at Klopp Lake in the Arcata Marsh and Wildlife Sanctuary. 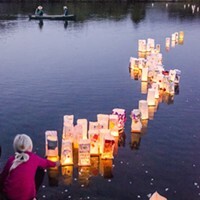 The Lantern Floating Ceremony is based on the Japanese Obon tradition of honoring the departed. 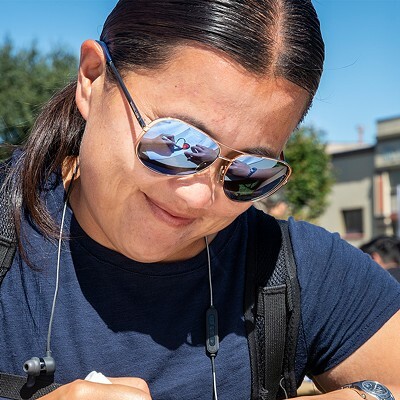 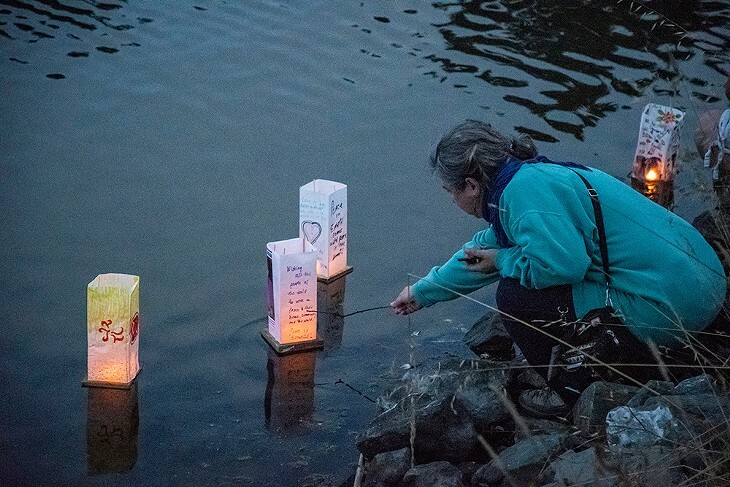 Our local event was first organized by the city’s Nuclear Free Zone Committee as a memorial for those affected by the WWII bombings of Hiroshima and Nagasaki, and to increase awareness about the dangers of nuclear proliferation. 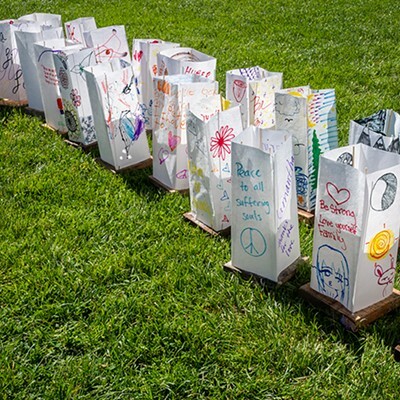 See the slideshow below for photos of the ceremony. 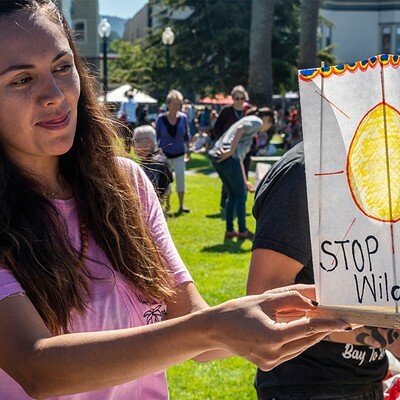 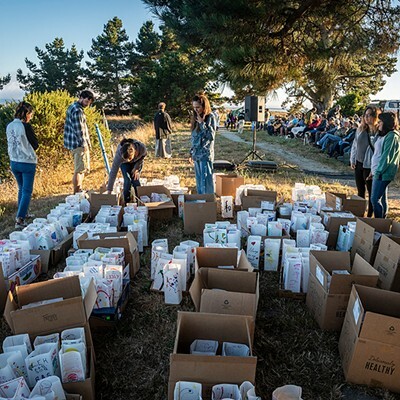 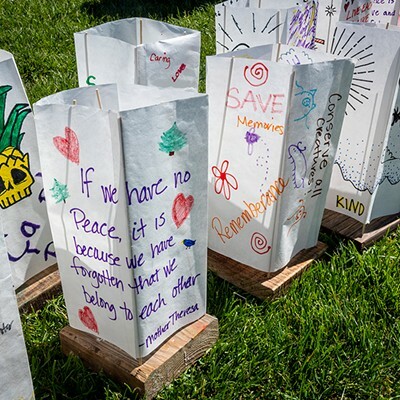 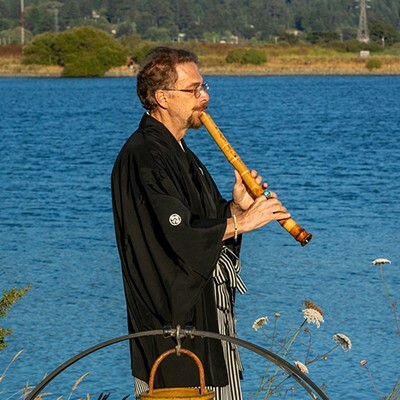 Other community groups and the city of Arcata now host the event, and volunteers organize the lantern-making workshop and evening program, move the hundreds of lanterns to Klopp Lake and retrieve the lanterns after the event. 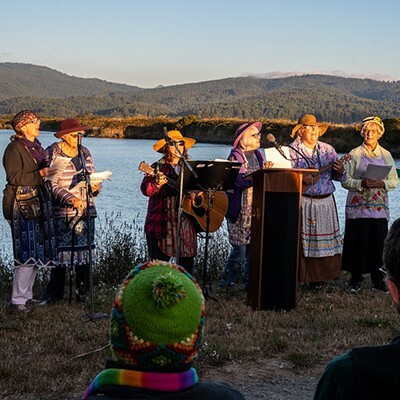 Arcata Mayor Sofia Pereira introduced the evening program which included the ceremonial floating of three large lanterns symbolizing the “past, present and future,” poetry and music by the Raging Grannies group and others, as well as community-related advocacy presentations. 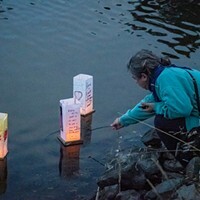 As twilight faded to darkness, volunteers helped launch the fleet of lanterns, lit with battery-powered lights, onto the water, where a light breeze that carried them east into Klopp Lake.